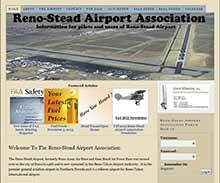 The Stead Airport Users Association is a non-profit organization formed by the tenants and users of the Reno-Stead Airport. The WordPress-based website provides information of use to the users of the airport, permits payment of Association dues and the purchase of Association logo merchandise. The Potting Bench is a Reno-based firm providing gardening services to the Reno-Sparks area. 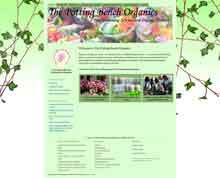 The Potting Bench Organics website promoted the owner’s gardening services and gardening classes. It also is an e-commerce platform for the sale of the owner’s unique line of organic lotions and cremes. The website owner has retired and closed the business. Gibson-Gale and Associates is a Reno-based consulting business directed toward the small-business owner or independent entrepreneur. Gibson-Gale provides accounting, bookkeeping and QuickBooks training solutions. 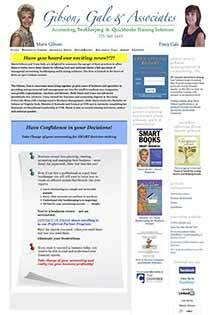 The WordPress-based website provides textual information and downloadable papers and e-books. 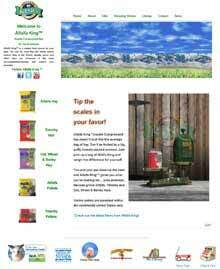 Alfalfa King is a supplier of double-compressed hay for small animals. This website is a WordPress-based e-commerce site with a shopping cart system that integrates seamlessly with order tracking and online accounting software. 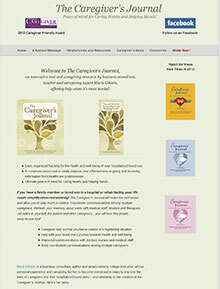 The Caregivers Journal is an innovative tool and caregiving resource that organizes the information needed when caring for a loved one. 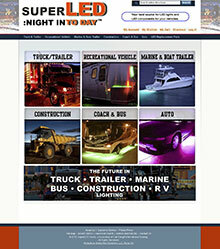 This WordPress-based website also integrates with social media platforms and incorporates e-commerce functionality. SuperLED Stores is a Magento-based ecommerce website that was developed to provide an online method for the sale of a wide range of LED lights for vehicles. The online portion of the start-up never progressed past the first phase of website development. 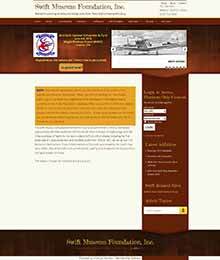 The Swift Museum Foundation, Inc. is an organization of individuals who own or admire the Globe Swift aircraft. The Foundation’s WordPress-based membership site provides content for public viewing as well as for Foundation members only. Plans include adding the ability to purchase/renew Foundation memberships and e-commerce functionality for the purchase of general aviation as well as Swift-specific aircraft items. Around The Pattern.com is the personal blog of the owner of Sierra Web Solutions. 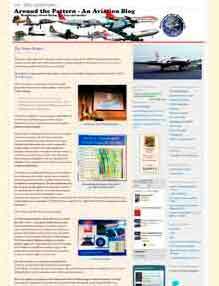 The site is used to discuss aviation issues and describe flying experiences both past and present. The design features a custom header image and two sidebar areas that include a rotating set of aircraft photos and a rotating group of aviation-related quotations. 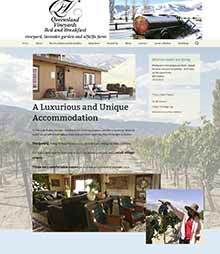 Queensland Vineyards Bed and Breakfast is located in west-central Nevada close to ski areas and located among grape vineyards and alfalfa fields. The B & B operator also provides ranch-style wedding facilities and catering. The WordPress-based website allows the reservation and payment for rooms at the Bed and Breakfast and provides room-specific calendars of availability. American Traffic School of Nevada is a highly customized, WordPress-based website that provides either a 5-Hour or an 8-Hour Nevada DMV approved online traffic school course. Students may purchase the course and then are provided the ability to progress through the course. Each course section has a minimum required time and an associated quiz that must be completed. Security quizzes required by the DMV are scattered through the course. Successful completion of the course and submitting the course completion certificate to the DMV can reduce the points assessed to a driver’s DMV record. 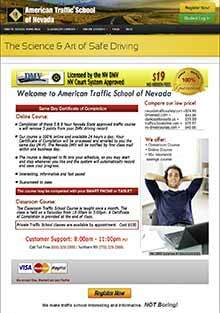 American Traffic School of Nevada is a highly customized, WordPress-based website that provides a 30-hour Nevada DMV approved driver education course. Students may purchase the course and then are provided the ability to progress through the course. Each course section has a minimum required time and an associated quiz that must be completed. Security quizzes required by the DMV are scattered through the course. Detailed student quiz results and course times are saved in a custom database for DMV audit purposes. 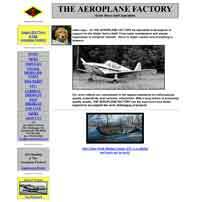 The Aeroplane Factory is an aviation business based in Gardenerville, NV. The website promotes the business of restoring classic and antique aircraft and the production of aircraft parts under contract. This HTML-based website acts as a brochure for the business owner, providing information on aircraft parts, services and items for sale. Put Your Website Here !